A Scots distillery has been toasting its success at the recent World Whiskies Awards. Loch Lomond Groups single malts triumphed across a range of categories at the 2018 World Whiskies Awards, including a trio of prestigious Best in Class accolades. The Loch Lomond Inchmoan 12 Year Old Single Malt, which is produced at the groups Alexandria distillery on the banks of Loch Lomond won the highly competitive Best Highland Malt 12 and Under category, while the groups Glen Scotia distillery in Campbeltown scooped a further two Best in Class awards. Glen Scotia 18 Year Old Single Malt was crowned Best Campbeltown Malt 13-20 while Glen Scotia Campbeltown 1832, which is part of Loch Lomond Groups global travel retail range, was named Best Campbeltown Malt No Age. Each of these Best in Class single malts then went forward for the chance to win Best in Region with the Glen Scotia Campbeltown 1832 being awarded the coveted accolade of Best Campbeltown Malt 2018. 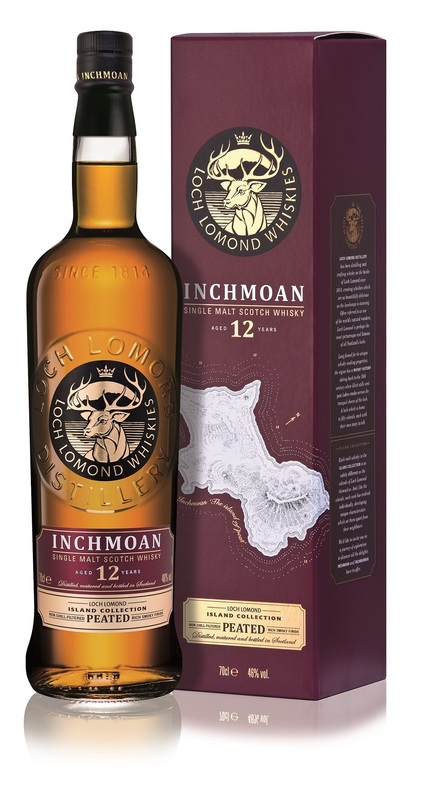 The Loch Lomond Inchmoan 12 Year Old Single Malt is born from a combination of malt whiskies from the distillerys traditional swan neck and unique straight neck pot stills to create a peat character with a lot of depth, marrying smoke and spiciness. It is matured for 12 years in a mix of recharred American oak and refill bourbon American oak casks giving sweet vanilla background notes that complement the soft peat style of Loch Lomond Whiskies unique still set up. The Glen Scotia 18 Year Old Single Malt is finished in Oloroso sherry casks and embodies the signature aromas of Campbeltown, with hints of vanilla oak interwoven with subtle notes of sea spray and spicy aromatic fruits. It imparts rich deep vanilla fruit flavours, with mild hints of apricot, pineapple and plump sultana. Its finish is long and dry, with gentle warming spice. The higher peat content of Glen Scotia Campbeltown 1832 delivers a truly individual single malt whisky with a sweet and smoky character. Golden syrup, spiced apple and vanilla flavours are balanced by light medicinal peat notes to give a beautifully rounded finish. Held annually, the World Whiskies Awards aim to showcase the very best whiskies in each global category. Over 1000 brands were entered this year and blind-tasted by more than 40 expert judges across the world. Colin Matthews, CEO of Loch Lomond Group, said: We are extremely proud of our innovative single malts and the recognition that they have received by industry leaders from all over the world. Our success is testament to our innovative production methods and the skills and craftsmanship championed at our Loch Lomond and Glen Scotia distilleries. Founded in 1814, Loch Lomond Whiskies can trace its roots back to the Littlemill distillery, which was established in 1772 and is thought to be one of the oldest in the world. Its current malt and grain distilleries, in Alexandria, Dunbartonshire on the banks of Loch Lomond, were built respectively in the 1960s and 1990s and are among only a few in the industry to maintain an onsite cooperage. The malt distillery at Alexandria also features a unique combination of traditional swan neck and distinctive straight-necked pot stills, enabling it to produce a diverse range of flavour profiles. The Glen Scotia distillery, which has a history dating back to 1832, is located in Campbeltown, one of Scotlands five Scotch whisky producing regions. In the Victorian age Campbeltown was known as the whisky capital of the world and was home to more than 30 distilleries. Today Glen Scotia is one of just three surviving local distilleries. The post Distillery receives a trio of honours at world awards appeared first on Scottish Field.